This mug is black but when you pour boiling water in, the black will turn white and your picture will become clear. Photo mugs are great for gifts for grandparents. It is an excellent gift for Mothers day or even Fathers day. 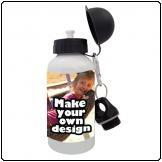 It also works great for a thank you gift on functions. 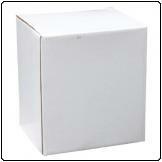 This is a standard white 11oz mug with a black inner. The mug is 9.5cm high. 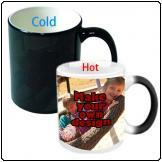 These mugs look great if your logo or picture has a bit of black or if you do not want a boring white mug. The inside of the mug is black as well as the rim. This is a standard white 11oz mug with a lime green inner. The mug is 9.5cm high. These mugs look great if your logo or picture has a bit of lime green or if you do not want a boring white mug. The inside of the mug is lime green as well as the rim. This is a standard white 11oz mug with a navy inner. The mug is 9.5cm high. 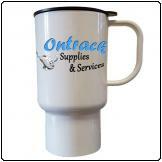 These mugs look great if your logo or picture has a bit of navy or if you do not want a boring white mug. The inside of the mug is navy as well as the rim. This is a standard white 11oz mug with a orange inner. The mug is 9.5cm high. These mugs look great if your logo or picture has a bit of orange or if you do not want a boring white mug. The inside of the mug is orange as well as the rim. This is a standard white 11oz mug with a pink inner. The mug is 9.5cm high. These mugs look great if your logo or picture has a bit of pink or if you do not want a boring white mug. The inside of the mug is pink as well as the rim. This is a standard white 11oz plastic mug. The mug is 9.5cm high. 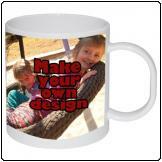 These mugs look great with a full colour logo or photo. This is a standard white 11oz mug with a red inner. The mug is 9.5cm high. These mugs look great if your logo or picture has a bit of red or if you do not want a boring white mug. The inside of the mug is red as well as the rim. This is a standard white 11oz mug with a sky blue inner. The mug is 9.5cm high. 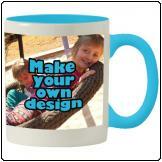 These mugs look great if your logo or picture has a bit of sky blue or if you do not want a boring white mug. The inside of the mug is sky blue as well as the rim. This is a standard white 11oz mug. The mug is 9.5cm high. This is a standard white 11oz mug with a yellow inner. The mug is 9.5cm high. These mugs look great if your logo or picture has a bit of yellow or if you do not want a boring white mug. The inside of the mug is yellow as well as the rim.